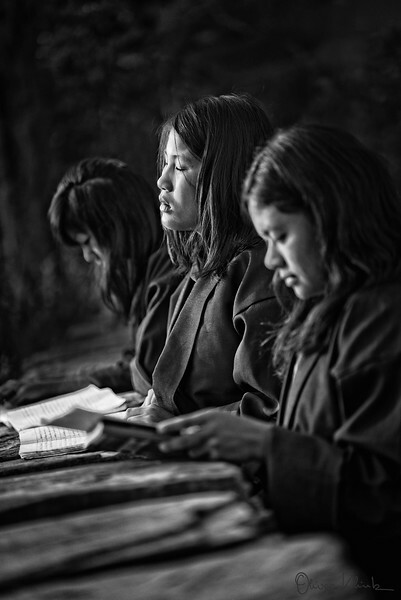 Boarding school provides opportunities for girls in remote villages to be educated. Without these schools, they would have an arduous trek to school, through jungle, mud, rain, and darkness six days a week, leaving very little time and energy for homework. They would also be subject to household chores at home. They were intrigued by my presence, but it didn’t deter them from their daily routine.